We're in the home stretch now! Time to kick it up a notch! I hope you're ready for these two weeks with a few more of my favorite bum lifting and shaping exercises! Complete this workout two to three times per week for the next two to three weeks. Dial in that mind-muscle connection and make those glutes do the work. If you find your legs really sore the next day (I know, "I thought stretching was supposed to fix that! "), add a 15-20-minute cycling session. Getting blood flow, full of oxygen and nutrients, back into those muscles by working them a little bit will invite faster recovery! So, print the workout log, watch the video tutorials, and you're set to GO! When you've successfully completed your sixth week of booty building, take after measurements and photos. I want to congratulate you on your progress too! I'd love if you would take that Booty Builder selfie and post it on social media! @carlymcooley I love seeing what you all are accomplishing and I'm excited to see your progress! Let your knees bend slightly more than with a straight leg DL. Complete one set per round with no rest as you transition to the next exercise. Like this, but with heels touching. Keep knees pressed out and push through your heels. 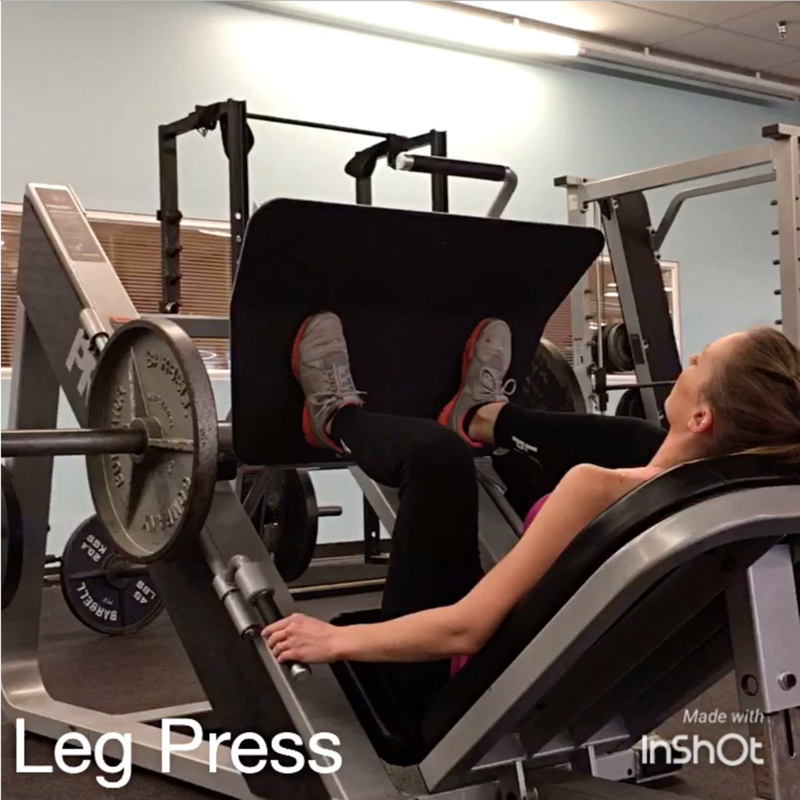 4 sets of 15 reps E.S. Like this, but standing at a cable column. One leg attached with an ankle strap and the other planted on the floor. 2-3 minutes rest then repeat the circuit 2-3 more times. Prepare your muscles for optimal recovery by stretching. Spend 5-10 minutes at the end of each workout stretching the body parts that were used. This can help reduce muscle soreness later, improve flexibility and pave the way for recovery. If you're really sore the day after a workout, go for a walk. Light cardio can help remove muscle 'waste' and alleviate muscle soreness. Another avenue for improving flexibility and helping your body stretch is yoga. Don't forget to fuel your muscles appropriately too! Within 60 minutes pre- and post-workout, grab a snack with healthy protein (at least 15 g) and carbs (about 15 g) in it, depending on your tolerance, preferences, and lifestyle/schedule. 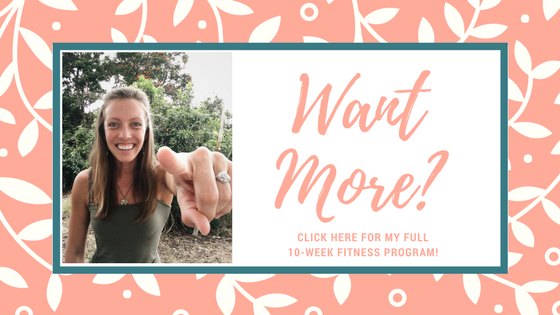 This is only a general recommendation, for specific recommendations tailored to your needs schedule a nutrition consultation with me.